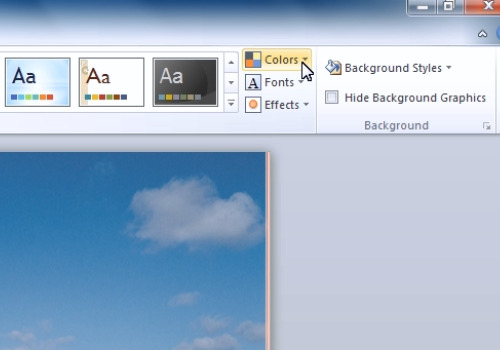 In this video tutorial we will show you how to insert/change the PowerPoint background image. Launch PowerPoint. Click on the “Design” tab and select the slide style. By choosing the style you are selecting the relevant background. 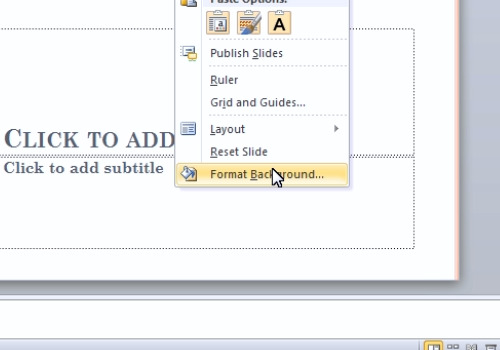 To insert or change your own background, right-click on the slide and select the “Format background” option from the drop-down menu. The “Format Background” window appears. Click on the “Picture or texture fill” radio button. Then click on the “File…” button. In the appeared dialog box you can select the image file for the background. To adjust the slide style color to match the new background you can select the theme color from the “Colors” drop-down list on the “Design” tab.